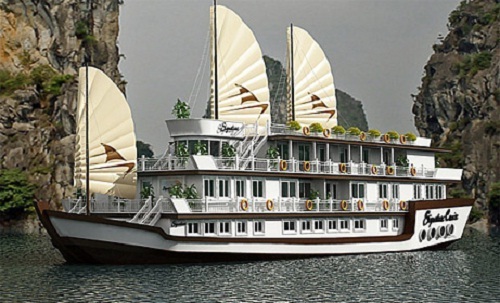 Having joined the list of luxurious cruises at Halong Bay for a short time, Signature Halong Cruise has gained attention of passengers, and become favorite option of many travelers. The cruise tempt tourists because not just that it is new and modern, but the brilliant services onboard contributed significantly in the rise of this cruise’s reputation. 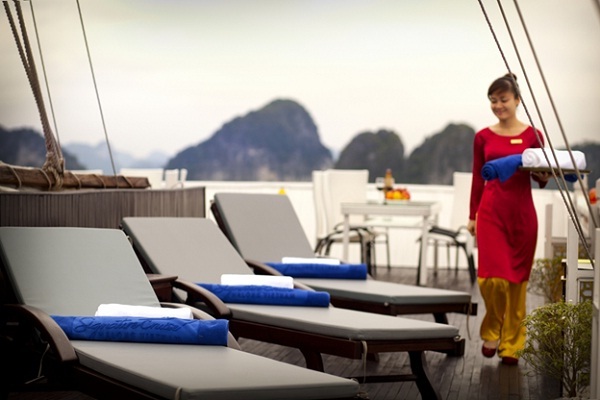 For its giant size, Signature Cruise has a surprising small number of cabins and boasts the largest cabin sizes among all cruises in Halong Bay. 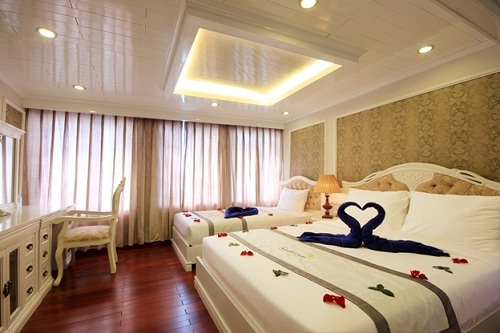 Each cabin in this are decorated with luxurious interior, and equipped with modern amenities such as working desk, safe, private Jacuzzi and flat screen TV. There are 4 kinds of cabins on Signature Cruise, including Signature Twin and Signature Deluxe Suites for 2 passengers, as well as Elite Family Suites and Exclusive Family Suits for small family with maximum of 4 occupants. 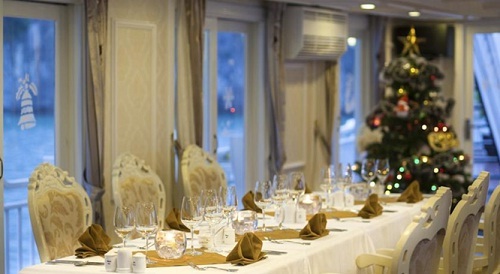 Experience fine dining in the prestigious restaurant located on the top deck of Signature Halong Cruise. 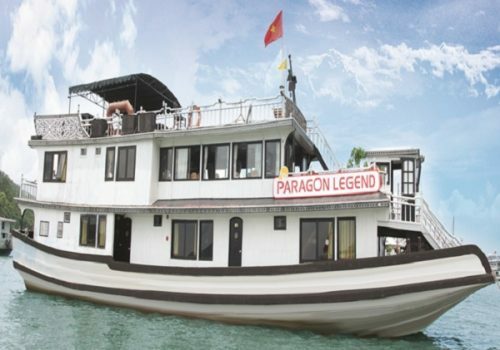 With a seating capacity of up to 40 passengers, Signature Halong Cruise restaurant offers air conditioned comfort with surround views of the incredible scenery. The talented head chef and his assistants take pleasure in presenting you with a wide range of assorted dishes from around the globe. 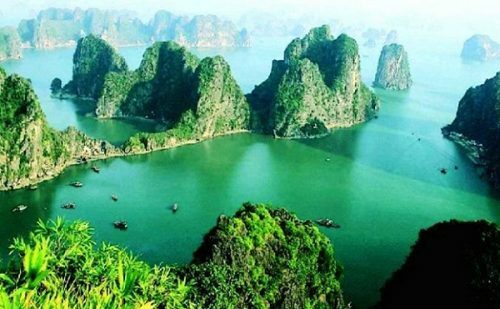 In addition, visitors can take part in many activities, such as: nightly squid fishing, kayaking, swimming & snorkeling; Tai Chi lessons & Vietnamese cooking classes; Visit floating fishing village and etc.